2453 Aircraft Control & Warning Unit (Reserve) RCAF was formed at Trois Rivieres, Quebec on 1 September 1951. Like their other Reserve AC&W counterparts, 2453 AC&WU was tasked to assist the Regular air force AC&W Squadrons by providing "personnel trained in all aspects of aircraft control and warning operations". The unit reported to RCAF Reserve Group Montreal. This particular unit was first quartered at 865 Hart in an old stone building dating back to 1797 owned by the Reverend Sisters of Marie-Reparatrice. The squadron later moved to 873 Hart. Their AMES-11 radar was operated on nearby properties. In common with all other Reserve units, 2453 AC&WU was re-designated as 2453 AC&WU (Auxiliary) as on 1 November 1951 and on 1 December 1953 they became 2453 Aircraft Control & Warning Squadron (Auxiliary) RCAF. Some of the Regular AC&W Squadrons that 2453 regularly paraded at and worked with included Parent, Mont Apica, Lac St. Denis, and on occasion, North Bay. 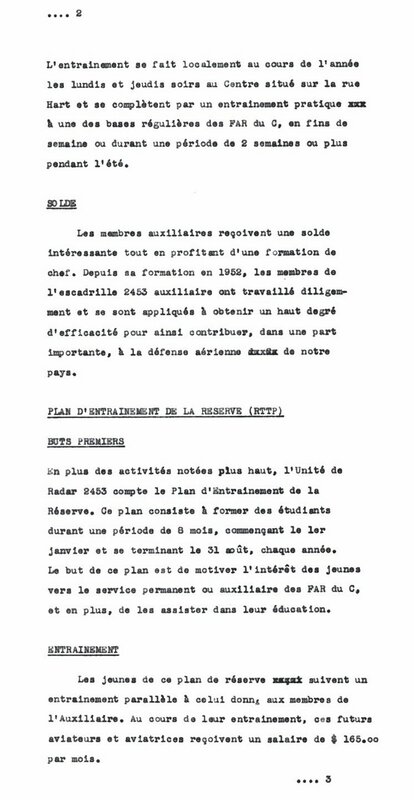 On 1 October 1958, the unit reported directly to Air Defence Command rather than through Training Command. 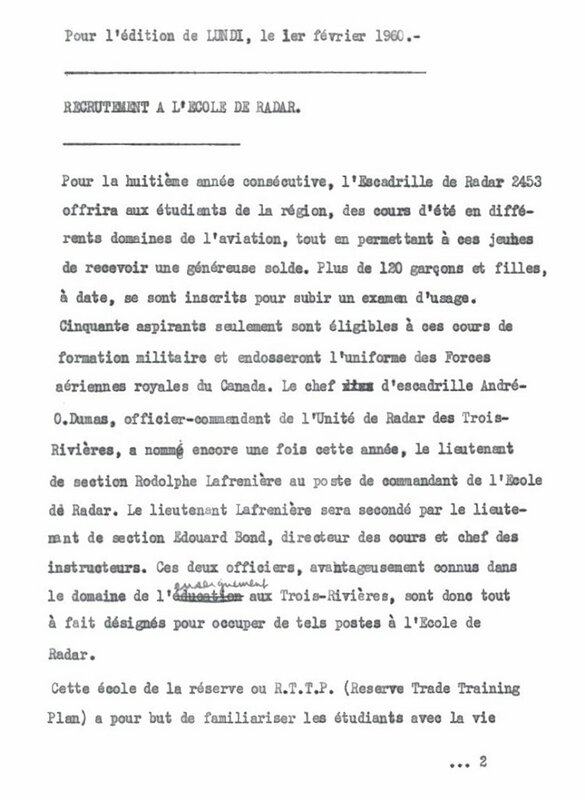 Narrative reports on the Pinetree Line web site confirm that 2453 AC&W Squadron was active at RCAF Station St. Sylvestre, QC during the years 1956 to 1958 inclusive, RCAF Station Mont Apica in 1953 and 1954, as well as RCAF Station Parent between 1957 and 1959. The SAGE network brought an end to all of the Auxiliary AC&W Squadrons as there was no longer a requirement to have Auxiliary personnel trained to manually back-up their Regular air force counterparts. Therefore, on 31 August 1961, 2453 Aircraft Control & Warning Squadron (Auxiliary) was disbanded. Newspaper article: La Presse - 4 May 1961. 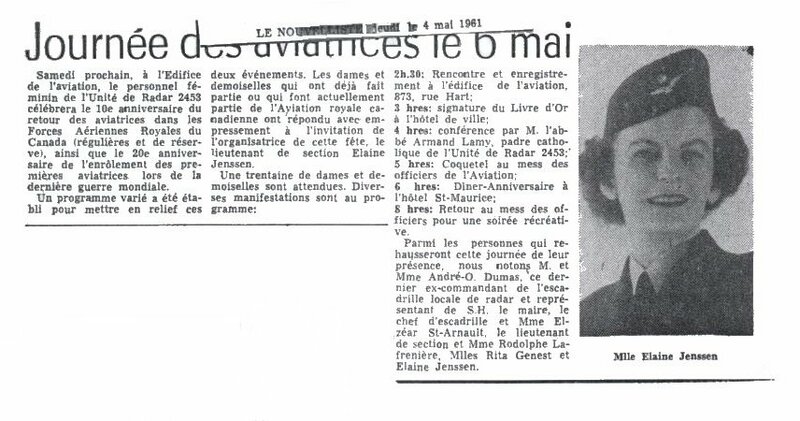 Newspaper article: Le Nouvelliste - 4 May 1961. 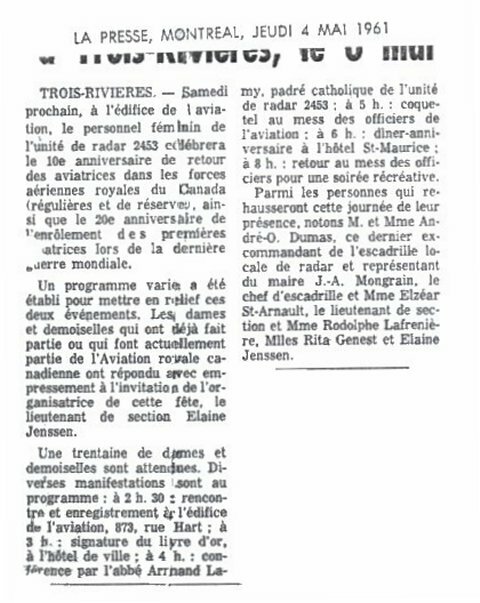 Newspaper article: Le Nouvelliste - 27 April 1961. 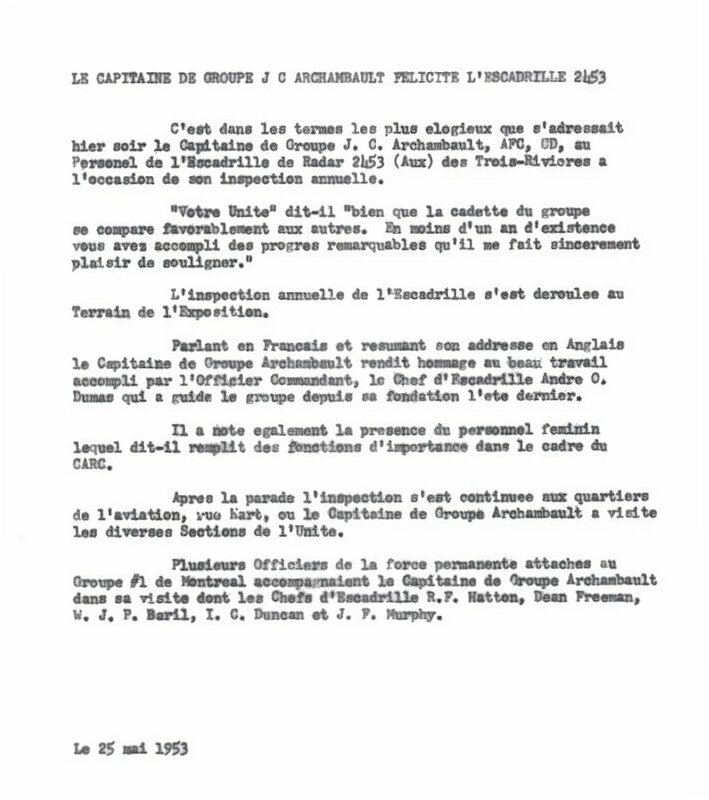 Organization Order R2.0.11 - 26 April 1961. 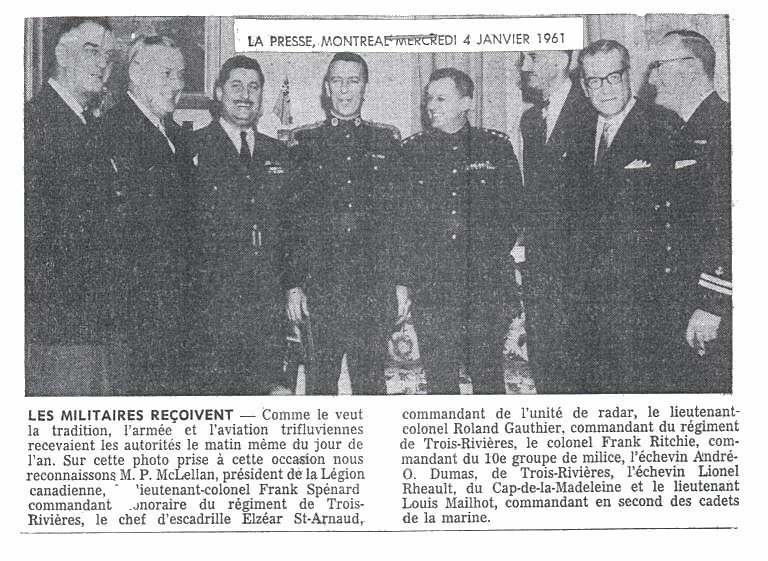 Newspaper article: La Presse - 4 January 1961. 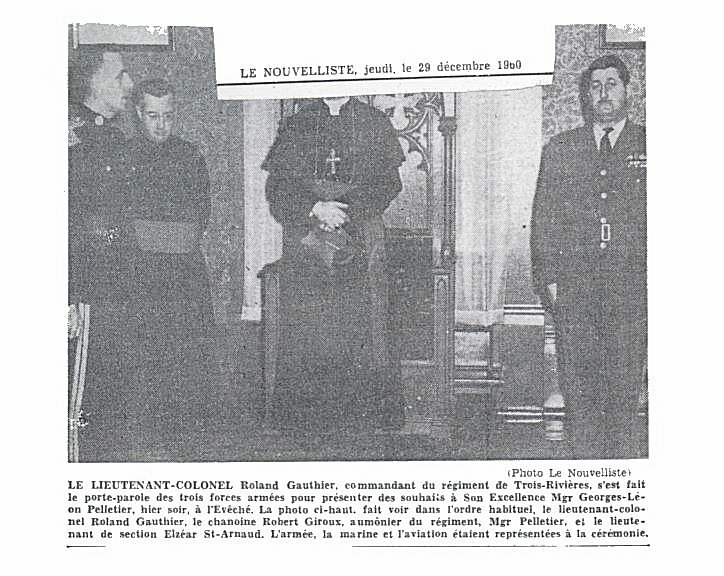 Newspaper article: Le Nouvelliste - 29 December 1960. Newspaper article: La Presse - 21 December 1960. 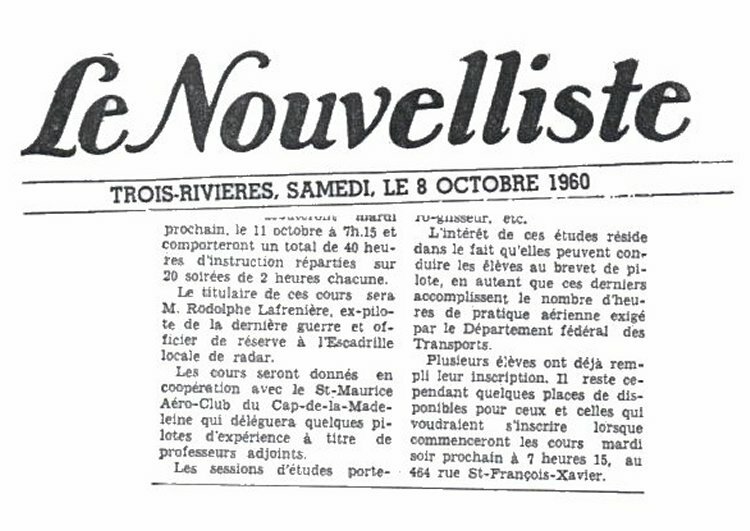 Newspaper article: Le Nouvelliste - 8 October 1960. 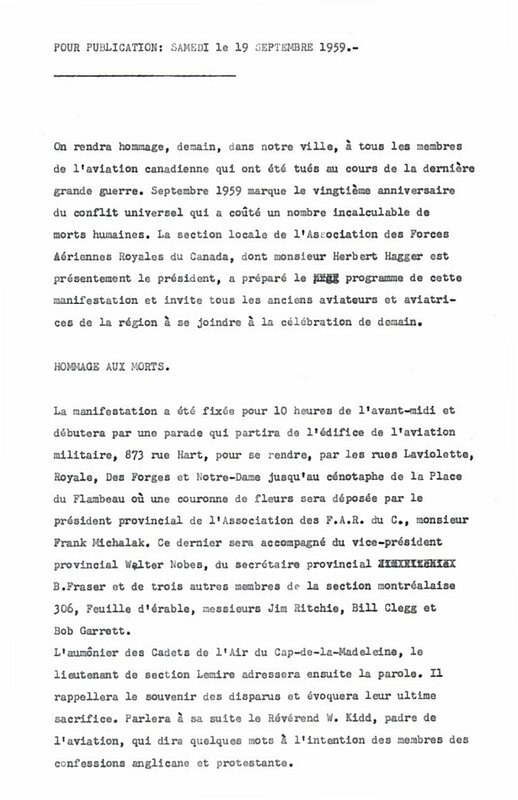 News release - 30 August 1960. RTTP news bulletin - April 1960. 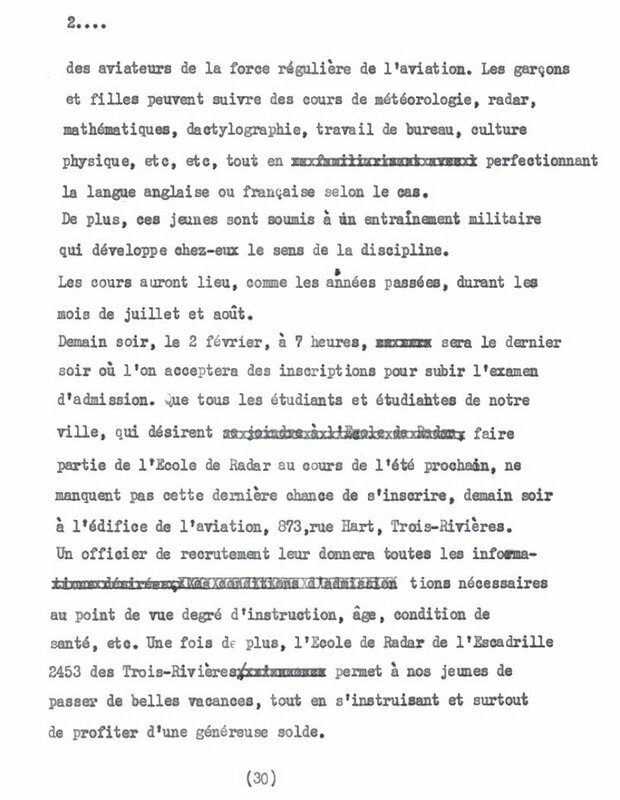 Speech - 18 February 1960. 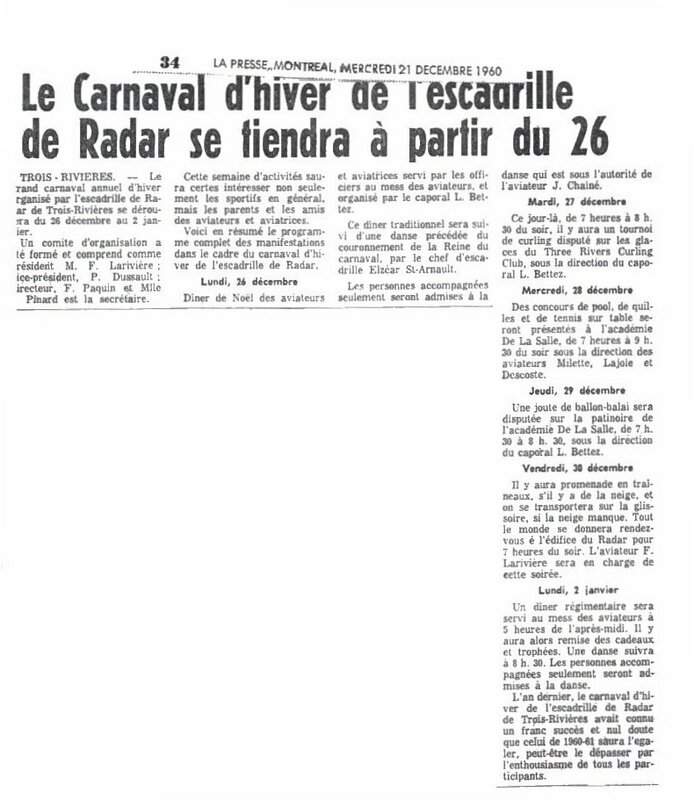 Newspaper article: Lundi, page 1 of 2 - February 1960. Newspaper article: Lundi, page 2 of 2 - February 1960. 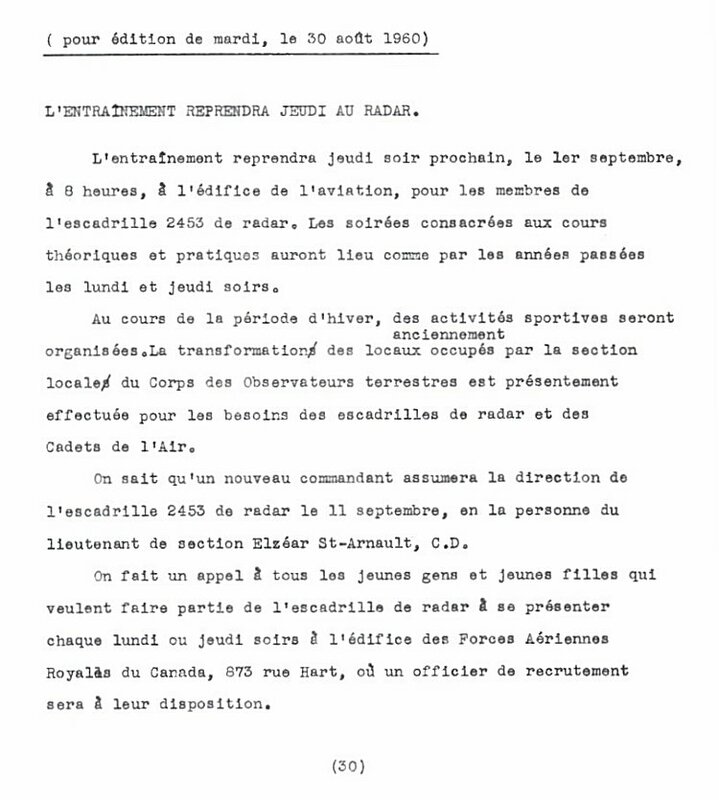 News release - 19 September 1959. Air Force Day - 1 April 1959. 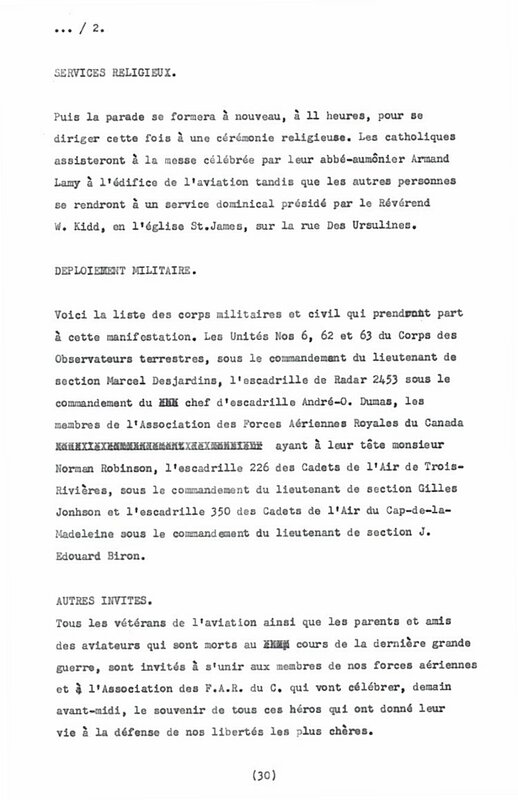 Air Force Day (French text) page 1 of 3 - 1 April 1959. 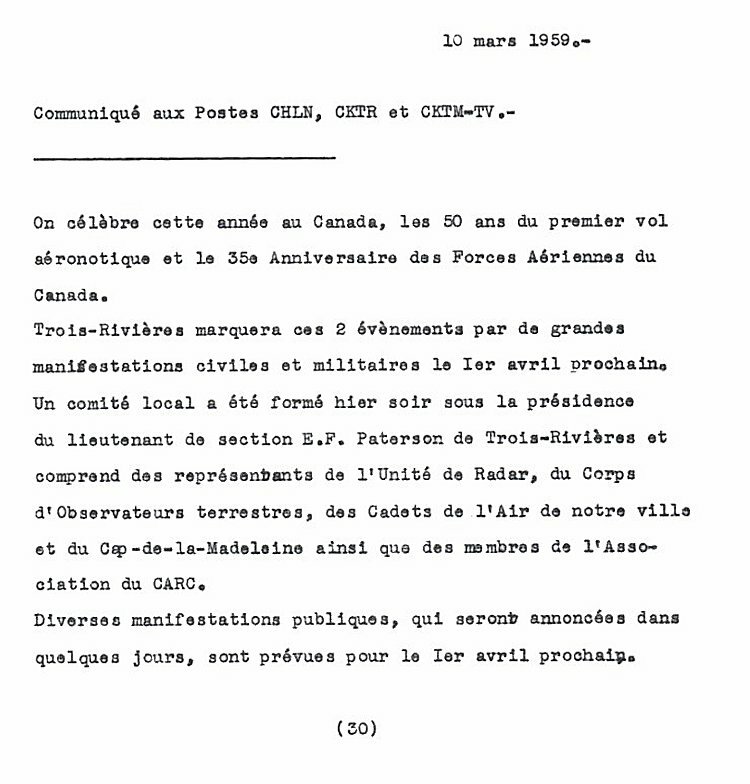 Air Force Day (French text) page 2 of 3 - 1 April 1959. 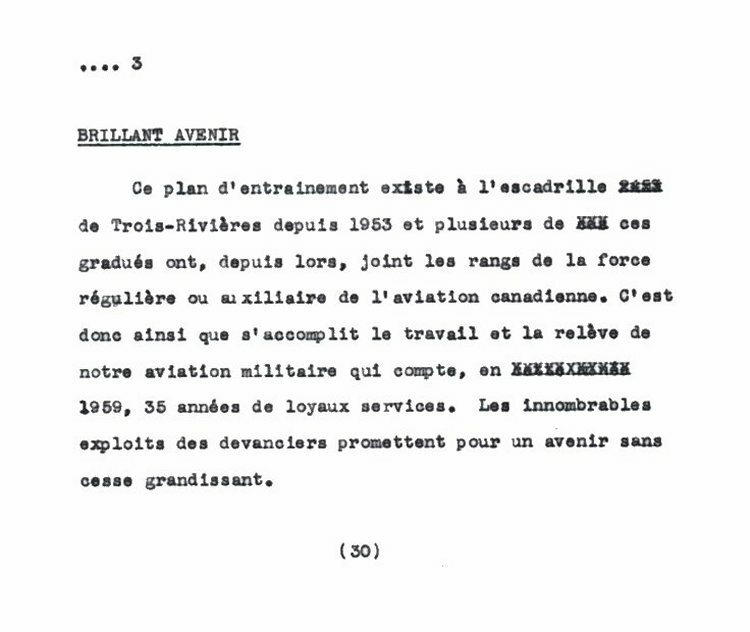 Air Force Day (French text) page 3 of 3 - 1 April 1959. TV and radio announcement - 10 March 1959. Historical Narrative - 1 November 1958 to 30 November 1958. 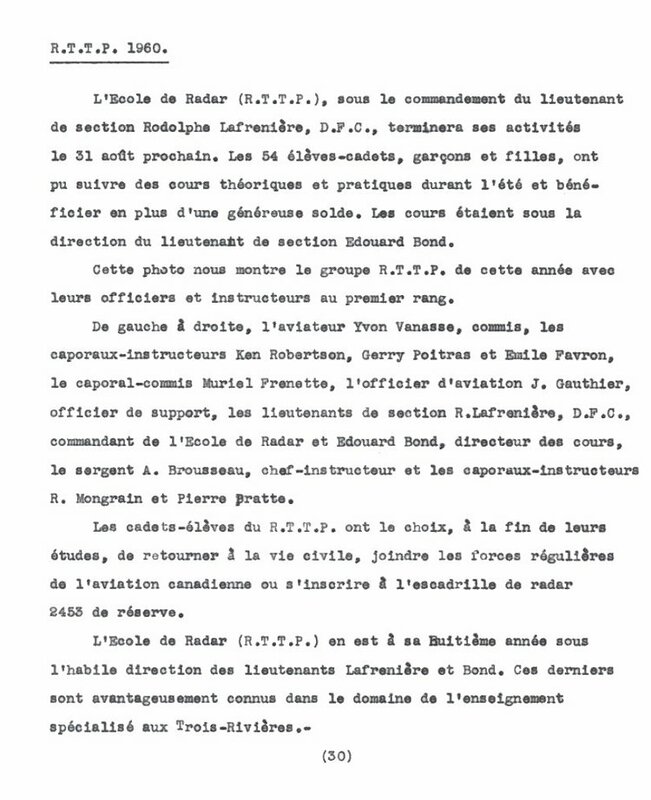 Organization Order R2.0.0.12 - 16 June 1958. Organization Order R2.0.11.7 - 19 February 1957. 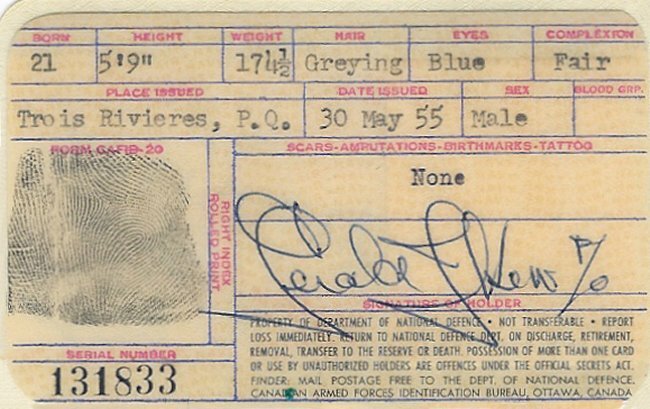 Front of DND Identification card - 30 May 1955. 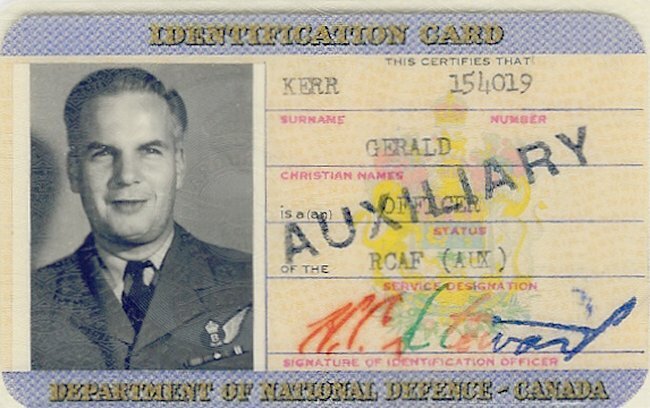 Back of DND Identification card - 30 May 1955. 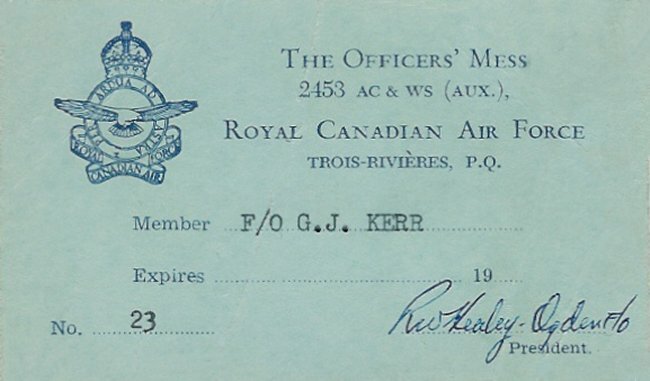 Front of 2453 AC&W Squadron Officer's Mess card - May 1955. Historical Narrative - 1 January 1955 to 31 January 1956. Organization Order R2.1.11.7 - 28 December 1954. Historical Narrative - 1 January 1954 to 31 December 1954. Organization Order 91/53 - 24 November 1953. Historical Narrative - 1 January 1953 to 31 December 1953. Press release - 25 May 1953. Organization Order 107/51 - 3 August 1951.